Ivy Studio is your Massachusetts landscape design company, specializing in luxury outdoor living spaces. Based out of Canton, we provide landscape design services to a huge surrounding area. 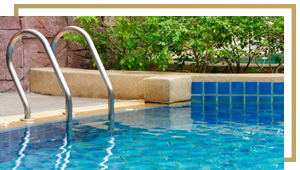 This page is specifically dedicated to our custom swimming pool design services in Natick and Middlesex County. Homes in Natick are the perfect candidates for custom swimming pool and spa design. With summer temperatures averaging in the high-70s and low-80s, the entire family will love spending time playing in the pool and lounging in the sun during the summer. On the other end of the spectrum, a custom spa or hot tub allows you to utilize your backyard even during the frigid winters. Not to mention, Ivy Studio can create custom indoor and outdoor pools with heating systems to expand the swimming season for as long as you’d like. Keep reading to learn more about our custom swimming pool design services in Natick and Middlesex County, or head straight to our consultation page to get started or learn about our other service areas! You Want One: We’ll start with the easiest reason to install a custom swimming pool at your Natick home: you just want one. Many people dream of having a house with a pool someday, and if today is the day for you, then go for it! It Keeps The Kids Active: Whether they are your own children or your grandchildren, kids love pools. Kids can play in pools for hours without getting bored, and it is a surefire way to get them to look up from their tablets and phones. Swimming is an incredibly important skill, and children learn best by doing. You’ll be amazed at how quickly the kids become strong swimmers when they realize the better they can swim, the more fun they can have. Pools Make The Best Entertainment Areas: We already know kids love pools, but adults like to get in on the fun, too. If you love entertaining and having friends and family over, a backyard pool is a perfect way to make your backyard space even better. 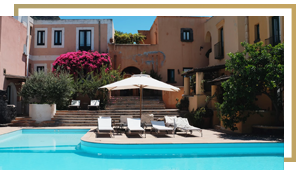 A Custom Swimming Pool Design Lets You Live Luxuriously: You’ll notice we have been focusing on custom swimming pool design, and not simply swimming pool installation. If you want to go with an ordinary pool, you can always buy a cheap above-ground pool. We know, though, that you deserve and want something better. A custom swimming pool that is designed and installed by professional swimming pool contractors like those at Ivy Studio allows for a truly unique look that meets all of your needs while using high-quality building materials that will last ages. Ideal Exercise For Many: Swimming pools offer a relaxing, low-impact way to exercise, making them perfect for older individuals or those with aching joints. Swimming in a custom lap pool or doing some water aerobics is a great way to spend time exercising in your own backyard without putting stress on your joints. Consultation And Site Survey: We’ll meet you at your home and discuss plans for your custom swimming pool design. We can offer our expert opinion based on the style of your home and existing landscape to ensure that your pool doesn’t look out of place, and we’ll listen to your needs and wants for your new swimming pool. Concept Design & Budget: Our designers will render a few 3D designs using a digital software, which we will then review with you and make changes as needed. During this time, we can let you know if your project is doable within your budget or if we need to rework anything in that area. Master Plan and Documentation: During this step of the swimming pool design process, we’ll finalize the design together, draw up a contract, and submit any necessary city approvals. Installation: It’s time to break ground! This is the most exciting step for most homeowners, as their swimming pool design is beginning to look like a reality in their own backyards. Each project has a dedicated project manager to ensure a single point of contact, making your life easier while we’re in your backyard. Thankfully, we believe we have the best landscape designers and pool builders in the area who take pride in their work, ensuring you’ll end with a gorgeous pool. Continued Relationship: After the installation, we want to continue to work with you on your future projects and hope that we make a lifelong partnership with each client. That means if you have any questions or concerns about your custom swimming pool after we leave, such as maintenance or future upgrades, just give us a call and we’d be happy to help! Now that you better understand the process of designing and installing a custom swimming pool, let’s go over what to consider when thinking about a pool for your own backyard. This should help to get some ideas flowing and give you some things to talk to your swimming pool designer about during the design phase. 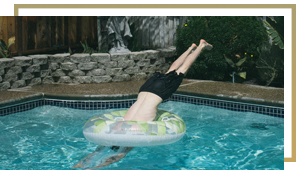 Family Pool/Recreational Pool: If you want a pool for the kids to use in the summer or just as a place to cool off, you probably want a no-fuss pool. You may want non-slip pavers around the pool to prevent accidents, and perhaps a slope so you have a deep end for jumping and a shallow end for younger kids. You can also incorporate a separate kiddie pool into the design that is less than one foot deep. Year-Round Use: If you want a pool for year-round use, then an indoor pool might be the way to go. This is especially nice if you are getting a pool to use for low-impact exercise, as you will be able to continue staying active into the winter. Ivy Studio can help create the perfect indoor pool and spa design. Lap Pool: A pool used just for swimming laps will look very different than a recreational pool. Lap pools are often long and narrow – about the size of a single swimming lane in a large pool. Pool and Spa Crossover: No one ever said you have to buy a Jacuzzi to drop in your backyard next to your gorgeous custom swimming pool. We can include a spa in your swimming pool design in many ways, whether you want a separate spa or for your spa and pool to be essentially connected. Modern Pools Design: Modern pools are often geometric in shape with sharp, clean edges. They usually utilize smooth tiles and neutral colors that lean more towards grey and less toward brown and beige. Natural Swimming Pool Design: Natural pools are becoming increasingly popular for those who want their backyard to be a usable living space but still feel natural and outdoorsy. These pools often incorporate a lot of natural boulderscaping, rock features and waterfalls, and organic, freeform shapes that move with the landscape. Mediterranean/Tuscan Style Pools: This style is a happy medium between modern and natural pool design. It is still relatively “clean” like modern pools but focuses more on rounded edges and custom stonework with warm, inviting colors like natural style pools. One of the most important design concepts involved in creating a custom pool is the shape. 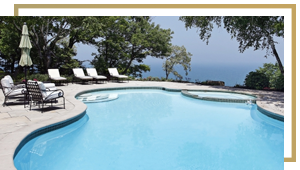 The shape and size of your pool will depend largely on your existing landscape as well as your personal preferences, and gunite pools allow for completely custom pool shapes. So, what is a gunite pool? Gunite pools are built on-site, unlike fiberglass pools which are built elsewhere and trucked in. This means your pool can be as big, deep, or oddly-shaped as your heart desires. Gunite is a type of concrete and sand mixture which dries rock hard and is incredibly durable. After the custom pool design is finalized, the process of building a custom gunite pool or spa involves digging a hole that is roughly the size and shape of the pool and creating a sturdy rebar framework. Then, the gunite mixture is sprayed over the rebar framework. Once cured, the pool can be finished with plaster, stone, glass, tile, or other options to create the luxury pool and spa of your dreams. Gunite pool design is built to last and is often more durable than poured concrete or other pool design options. Rectangle: This is the simplest and most traditional pool shape. It goes without saying that this shape includes four straight sides with 90-degree angles and is perfect for most purposes. Roman: A Roman-style pool is pretty similar to a rectangular pool, but often includes rounded edges or semi-circle cut-outs that add an incredibly elegant touch. Freeform: This is the most popular shape for natural-style pools. Your swimming pool designer will work with the natural shape of your backyard to create a unique shape for your pool. Geometric: Squares, triangles, rectangles, hexagons – put them together in any way you’d like. Geometric pools are perfect additions to modern homes. Waterfalls: Whether you want a sleek, modern water feature streaming into your pool or would prefer a custom stone waterfall trickling over some expertly placed boulders, we can make it happen. Poolside and Underwater Lighting: The fun shouldn’t stop when the sun goes down. 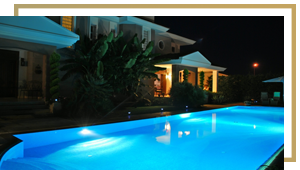 Underwater lighting keeps pools safe at night and poolside lighting can help create a special atmosphere. 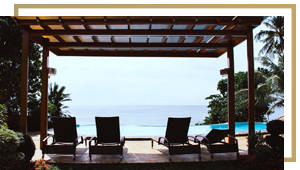 Relaxation Space Around Pool: To make your backyard truly feel like a luxury resort, Ivy Studio can design and build pergolas, sitting areas, or tanning areas. Talk to our pool designers for ideas! Shower Area: This is especially important if you use your pool as an entertainment space. We can incorporate cozy and classy shower areas into your custom pool design to help keep your pool clean as well as prevent chlorine water from being tracked into the house. Ready To Start Your Natick Custom Swimming Pool Design? Ivy Studio would love to work with you on your luxury swimming pool project. Get in touch today for a free custom swimming pool design consultation and to speak with our team of swimming pool builders and designers about a custom swimming pool in your backyard!